WEEKEND BETTING: What are PNE’s chances of victory at Stoke City? Column readers were in clover last weekend as North End’s newest hot-shot Jayden Stockley opened the scoring as the Lilywhites produced a devastating display of finishing to beat QPR 4-1 at Loftus Road on Saturday. Stockley, signed from Exeter during the month, was boosted to 8/1 by 32Red last weekend and didn’t hang about, breaking the deadlock in the capital in the 14th minute. That goal should give the striker plenty of confidence heading into another huge away day for Alex Neil’s side, with Preston 3/1 underdogs when travelling to the bet365 Stadium to face a Stoke side revitalised under new boss Nathan Jones. The hosts are 10/11 favourties with 32Red and the draw 5/2. Stoke dealt another 32Red-sponsored side a surprise last weekend, when beating Leeds United 2-1 in the Potteries and are already showing signs of improvement since Jones replaced Gary Rowett a fortnight ago. No Championship side has made more signings during the January than North End. However, it was the deal for talisman Paul Gallagher that will really put a smile on fans’ faces, with the 34-year-old signing at Deepdale for another season. 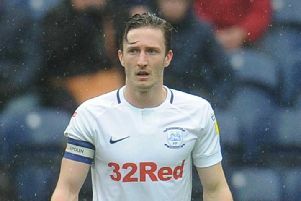 That will be music to fans’ ears, and he will get a magnificent reception when Preston welcome Frank Lampard’s Derby County side next weekend in a ‘32Red derby’ in front of the Sky cameras. I see him causing Stoke plenty of problems in the middle of the park and he is 16/1 to break the deadlock in the Potteries and 15/2 to score anytime. They say ‘one brings two’ and after obliging for punters last weekend, 32Red have once again enhanced to net the opener, and 8/1 with 32Red to break the deadlock in the Potteries. Preston are 9/1 to once again claim all three points despite conceding at the other end, and 12/1 to win with Alan Browne getting on the scoresheet. Meanwhile, nobody has scored more Championship goals than Tammy Abraham this season and, after opting to stay at Aston Villa for the remainder of the season, he looks a cracking bet at 3/1 to finish the season as the league’s top goalscorer. Abraham has 17 league goals already this term and has been particularly prolific at Villa Park, scoring 13 in 11 league games at home this term. He is 5/6 with 32Red to add to that tally when Villa welcome rock-bottom Ipswich Town at the weekend. The Villans are 4/7 favourites with home advantage, the Tractor Boys 6/1 to leave with all three points and 3/1 a share of the spoils. Interestingly, tempers flare when Ipswich head to Villa Park, being reduced to 10 men in the last two meetings in the West Midlands, and 32Red are 8/1 that an Ipswich player sees red on Saturday. Villa are an enhanced 25/1 to win the game 3-2 however, are much better value at 4/1 to score with a header – their tally of 20 not bettered by any Championship side since Norwich six years ago. It’s a massive day of racing at Cheltenham where the best of British put their festival credentials on the line at ‘Trials’ Day’, with many using this as a stepping stone to equine immortality in March. Frodon is the 9/4 favourite for the Cotswold Chase and has built up a terrific partnership with Bryony Frost in the plate. However, I am not convinced he sees out three miles and a strong gallop should favour Welsh National winner Elegant Escape (2.25) for the in-form yard of Colin Tizzard. Nicky Henderson has a strong hand in the G2 Ballymore Novices’ Hurdle with Birchdale likely to deputise for stablemate Champ but I feel local trainer Fergal O’Brien holds all the aces with recent course and distance winner Jarvey’s Plate (3.00) expected to follow-up his emphatic New Year’s Day success. The selection gets on well with rider Paddy Brennan and is 9/4 to win on Saturday, and 14/1 for festival success in March.